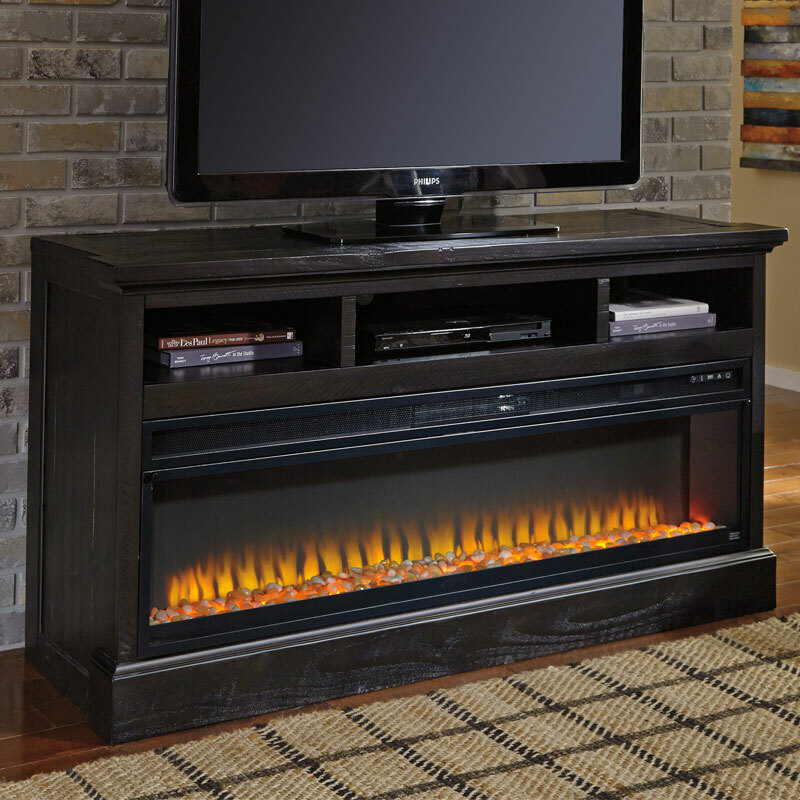 Entertain a more sultry take on cottage-chic style with the Sharlowe TV stand. Showcasing saw marks, natural distressing and planked detailing, its knotty pine is finished in a dark charcoal for an aesthetic that's as chic and sophisticated as it is homey and welcoming. For added warmth, opt for our optional W100-22 landscape fireplace insert.